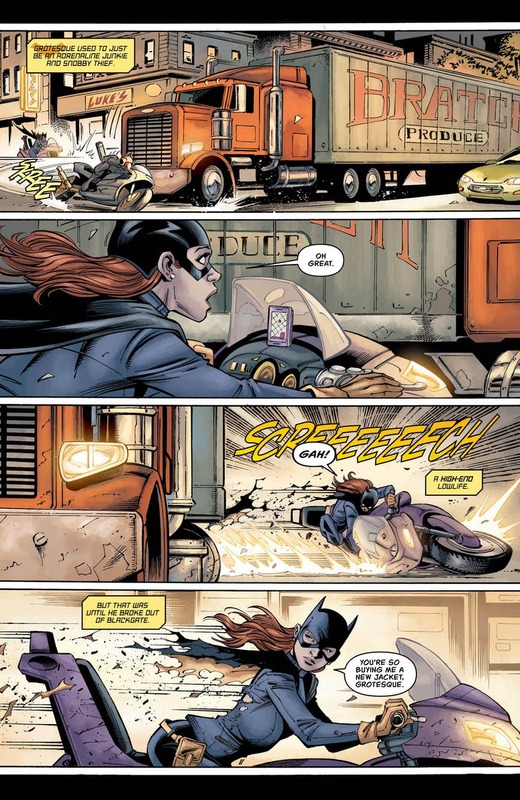 Posted on May 10, 2018 by thelostlighthouse	in Comics, Literature and tagged Batman, comics, comics reviews, DC, DC comics, DCU, Francis Manapul, Hi-Fi, James Tynion IV, Joshua Williamson, Justice League, Justice League No Justice, Literature, No Justice, Scott Snyder, Superman, TLL. 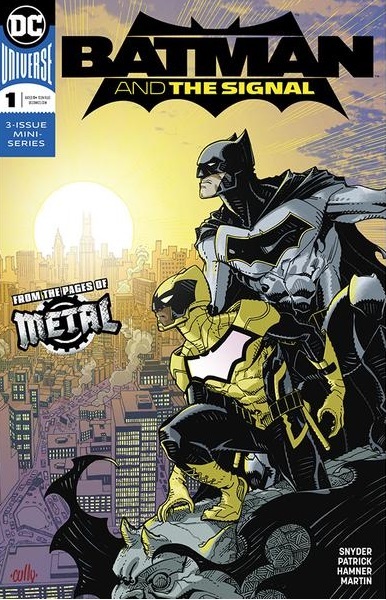 This week I picked up the first part of DC’s Justice League: No Justice mini series, the next big thing following on from Metal for the DC Universe. I dropped off Justice League a little bit after Rebirth because something about it just wasn’t clicking for me, but with writers Scott Snyder, Joshua Williamson and James Tynion IV on board for this series, and art from Francis Manapul, I was certainly interested in checking this out! 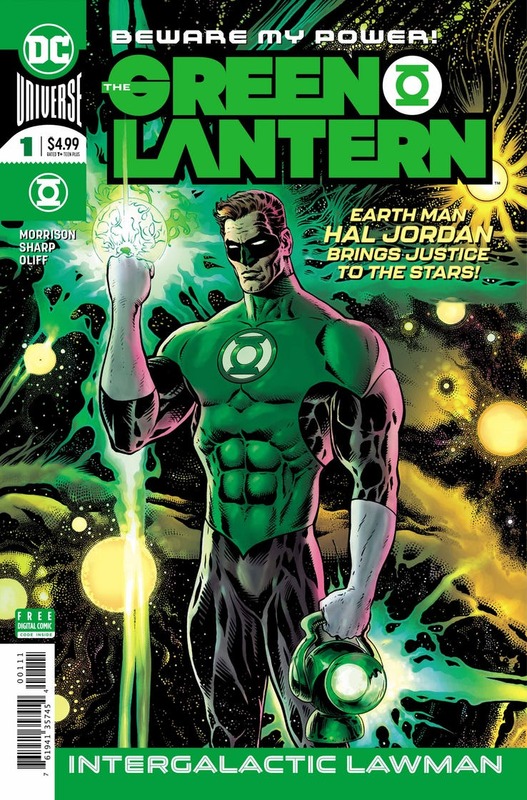 Colours on this issue were provided by Hi-Fi, with lettering by AndWorld Design, and cover art by Manapul. Following on from the Metal event, the Source Wall surrounding the universe has been destroyed. 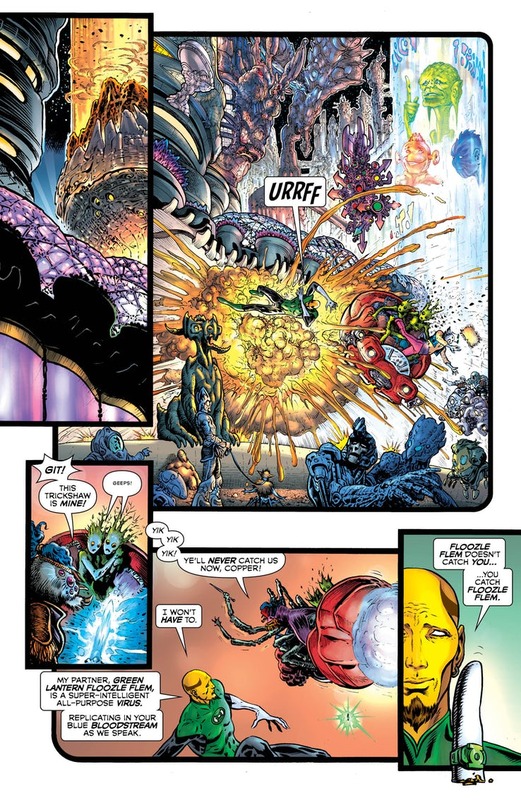 While the Green Lanterns have gone to investigate, one of the biggest villains in the DCU has wasted little time in attacking Earth – Brainiac. And he has come to warn of a far greater threat on the way, the Omega Titans, cosmic gods and world eaters that have been awoken or set in motion by the shattering of the Source Wall. And Brainiac has come to rally the heroes and villains of Earth to save his home planet of Colu and stop the Omega Titans. 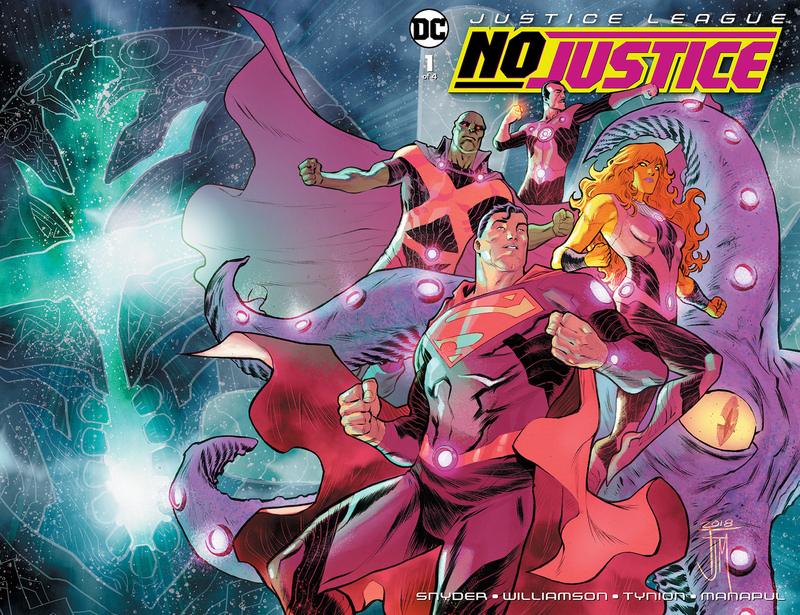 No Justice kicks off pretty quickly, and while the first issue of many events like this are often full of set up and are a little bit of a slow burn, Snyder, Williamson and Tynion IV manage to set the scene while still moving the plot forward. 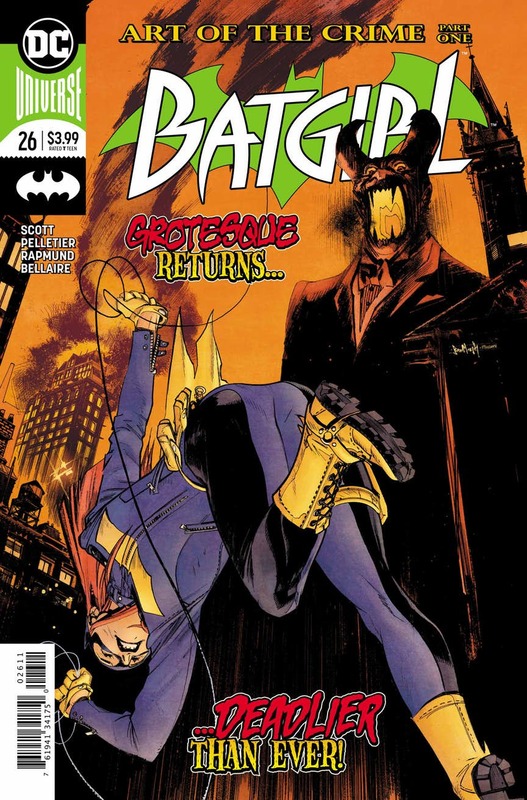 The cast of characters is such that no one really gets much chance to shine, maybe Damian Wayne and the Martian Manhunter get a decent amount of time, and a few of the characters do feel a little out of place here, but its a nice spread overall and the set up of the plot should force some interesting team dynamics. The story itself with the Omega Titans has a lot of potential too. Think Galactus but if there was 4 of him. Manapul’s art is very strong superhero fare in this issue. His experience in superhero comics is on full display here, juggling an array of varied characters easily with a real sense of scale to the world shaking events and some great splash panels. Hi-Fi’s colours are very vibrant, with the colourful costumes and a couple of green skinned characters so distinct it almost pops off the page. The story is an interesting start, possibly a little impenetrable to new readers, but those familiar with the DCU, especially recent events, will get a lot out of this. 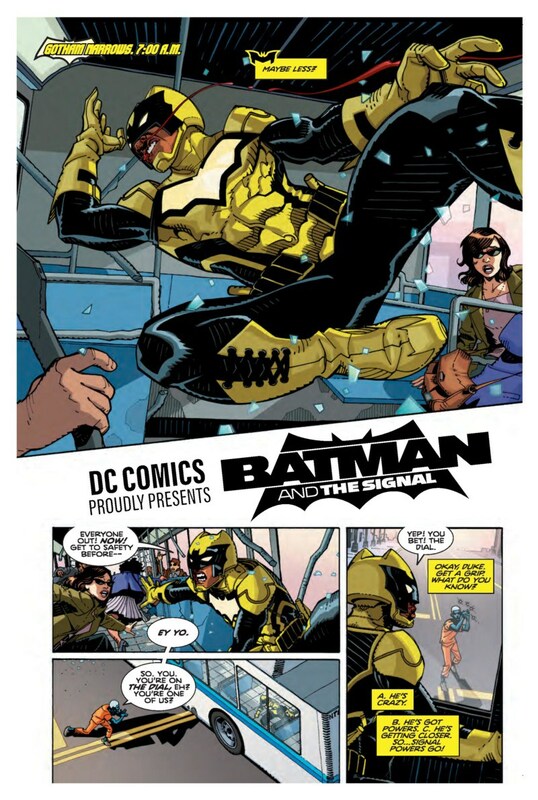 The art from Manapul is very nice, and the potential for some great action sequences moving forward is very high. 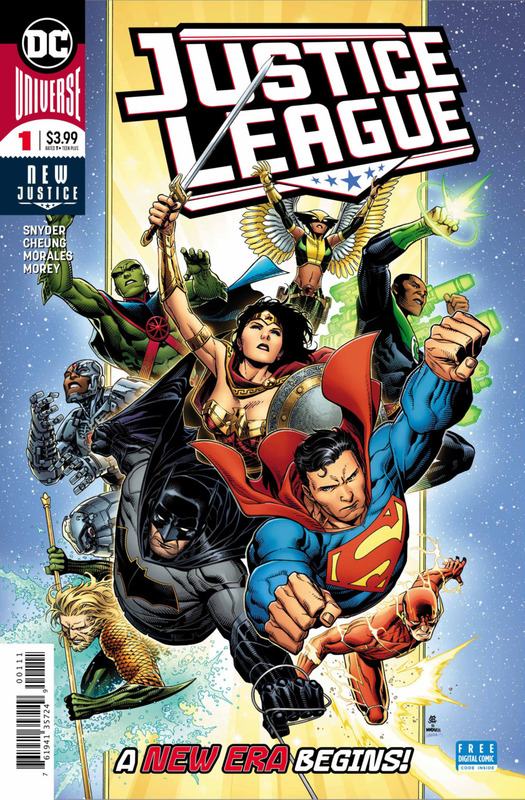 Check out Justice League: No Justice #1 at your local comic shop or online now! 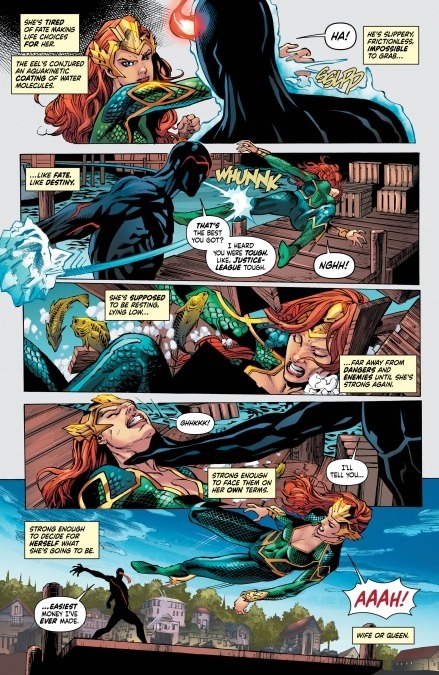 Posted on March 1, 2018 by thelostlighthouse	in Comics, Literature and tagged Aquaman, art, Atlantis, comic book review, comic books, Dan Abnett, DC, DC comics, Lan Medina, Literature, Mera, Mera Queen of Atlantis, Richard Friend, Simon Bowland, superhero comics, superheroes, TLL, Veronica Gandini. The plot picks up with Mera stranded on the surface, the throne lost and much of her power drained in a coup in Atlantis. 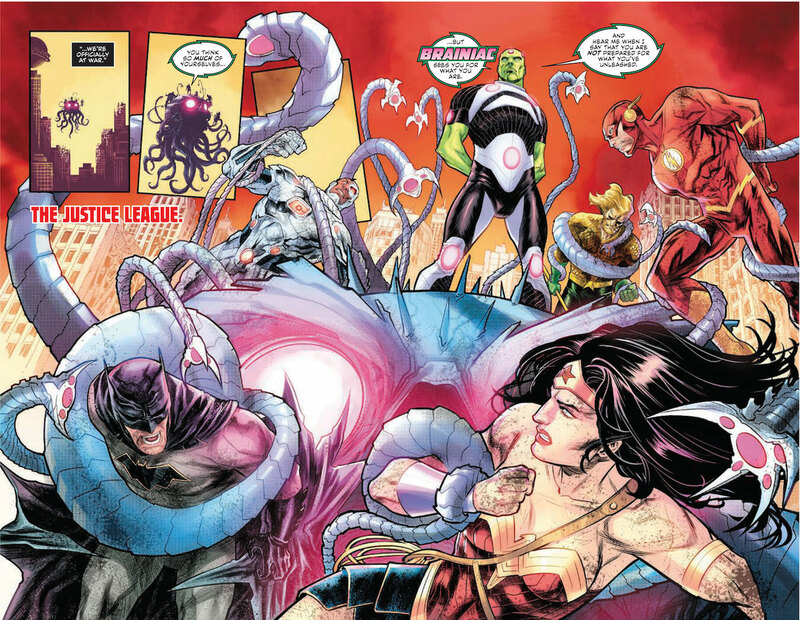 Aquaman may be dead and not only does she have to recover, take back the throne and keep the surface world countries out of Atlantis through political maneuvering, she also has to deal with assassins sent by the usurper Rath. It’s a lonely task as well, as with many civil disputes it’s not an issue outsiders such as the Justice League can simply weigh in on. There’s a lot of exposition getting into this comic. In rapid succession it brings the reader up to speed with the state of play in Atlantis, Mera’s situation and how it relates to the world at large. Additionally the issue sets up the likely role of who I presume will be her ally, Ocean Master. As for the art, Medina, Friend and Gandini have worked together to create a vibrant world, rich in colour. 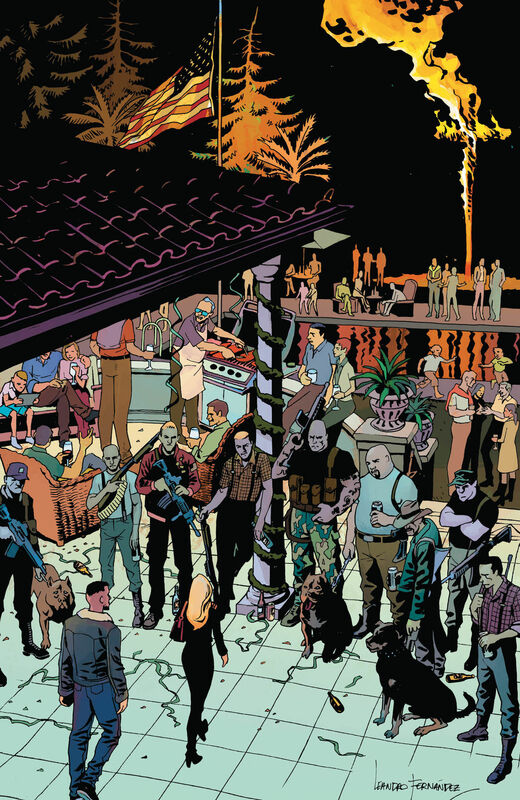 There are numerous different settings which they jump between, using full colour spreads during the intense action, a faded palette during flashbacks and good use of white space to slow things down during conversations and exposition reveals. The real test, with so many different settings and scenes is how well the hands are drawn though? Pretty solidly overall. 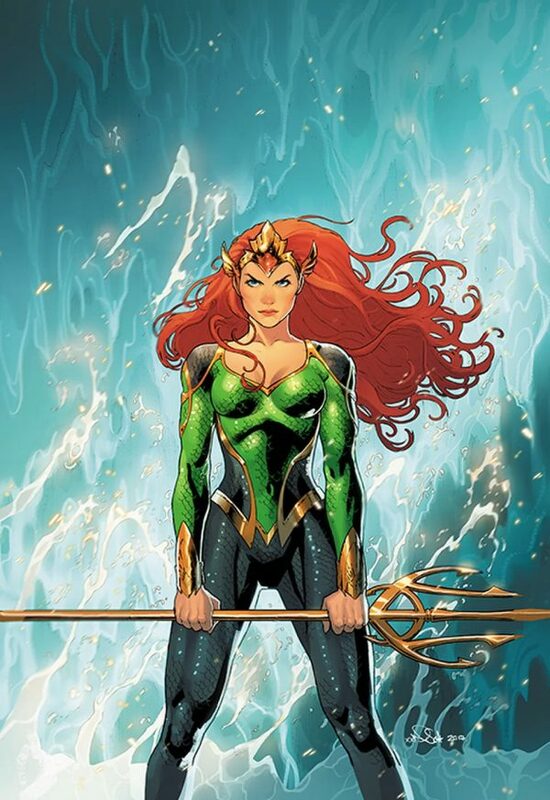 They look great during action scenes and add a great dynamic element to Mera when she’s swimming or in water. When they are visible during character conversations they look good, however I would have liked to have seen more of them due to the emphasis they can give on body language, emotion and communication. 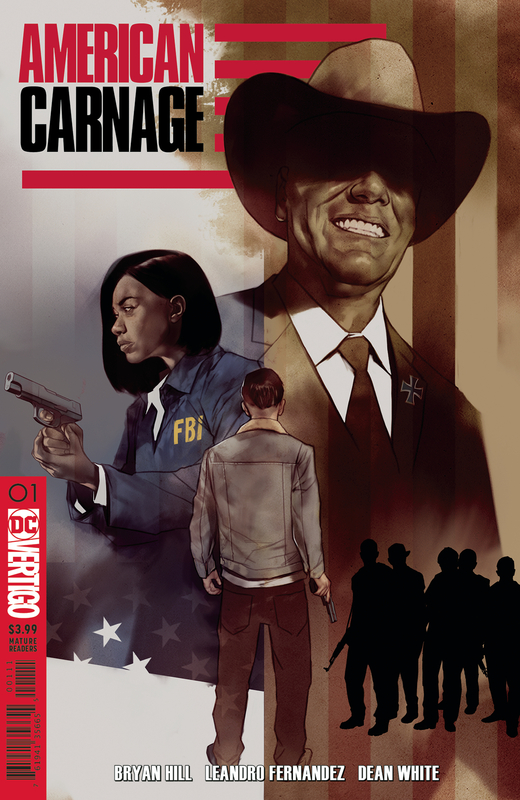 This is a solid first issue. There is a lot to get through though and it took me a couple of reads to take everything in. I think if you’re more familiar with Atlantean DC Lore you would pick this up easily but as someone who knows their way around it less it was a bit of a tough read in places.